Spiders are not the most pestering insects out there – they don’t carry around diseases the way cockroaches do, they don’t bite or sting like wasps do, and they are generally considered to have a positive impact on our homes since they hunt and kill other, more annoying insects. Or at least that’s how it is most of the time. Of the thousands of species of spiders out there, there are a few that can be quite unpleasant to have in your home – ones with more dangerous bites and/or ones that tend to reproduce at alarming speeds and in astonishing quantities. It is in those latter cases when a homeowner might start looking for bug bombs for spiders or for other anti-spider products. Spider infestations can be difficult to deal with once they get going since spiders are quite lively insects with high survivability traits. 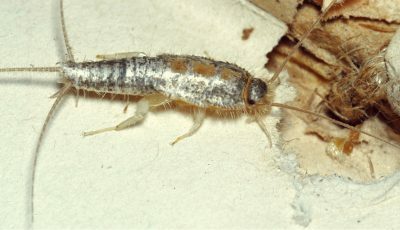 They can hide and reproduce in the tiniest of cracks and nooks in your walls, and they are often resistant to a lot of pesticides and insecticides. That’s why simply vacuuming or spraying individual spiders can be an insufficient way to deal with them once they start reproducing like crazy. 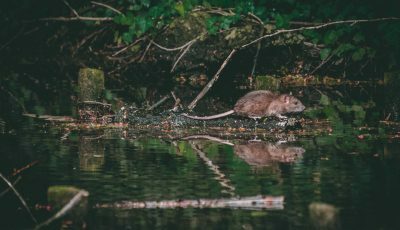 Bait stations are also not as effective on spiders as they are on other insects like roaches or ants since spiders don’t wander around as much. All this is why bug bombs are often the preferred way to deal with spiders. A good bug fogger bomb emits a gas that’s full of insecticides and that fills every enclosed space it’s dropped in. The gas goes into every fabric, crack, crevice or nook where spiders or other insects may dwell, and kills every last one of them. Of course, the side effect of that is that you also gas your own home and furniture, but that’s why bug bombs are known as such doubled edged swords – they need to be used only as a final measure when you’re sure that you can’t deal with the problem in any other way. So if you’ve reached the point of looking for good bug bombs for spiders or other insects, hopefully, this article will be of help. 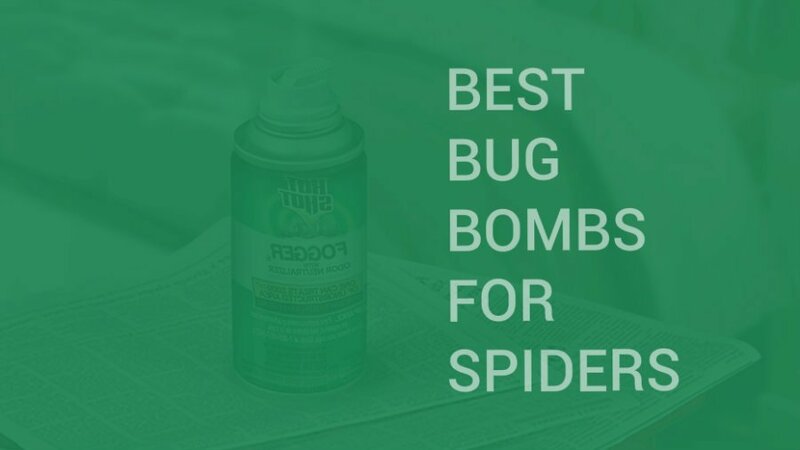 In it we’ve listed the Top 3 best bug bombs for spiders, as well as several other products that you might also want to consider. We’ve also followed those lists with a quick guide on how to choose, buy and use bug bombs. 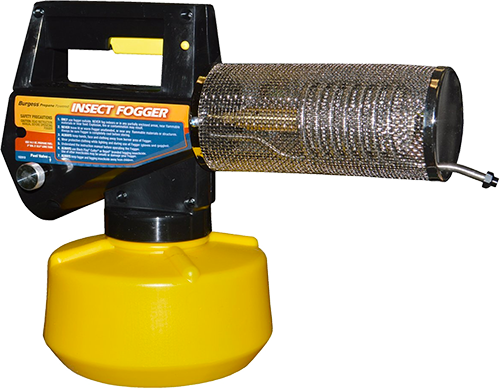 You can’t look for the best bug bomb for spiders without checking out the Raid Concentrated Deep Reach Fogger. A great spider fogger, this Raid product comes with 3 bombs per pack and is highly effective not just against spiders, but also against roaches, ants, and a lot of other crawling insects. What makes it one of the best foggers for spiders is its Deep Reach potential. This spider bomb penetrates deeply into cracks, crevices, and nooks, and kills not only the creepy crawlies on your floor but those still in their nests and colonies as well. An amazing spider bomb for house treatments, the Raid Concentrated Deep Reach Fogger has a lasting effect of up to 2 months, depending on how well it has been applied. What’s more, this bug bomb for spiders also leaves no wet residue and no stains. It’s still a fogger, so expect to have to air and clean your home afterward, but it will at the very least no stain your furniture and wallpapers. Additionally, it’s also perfumed, so the residual odor isn’t as unpleasant as it is with other spider fogger products. 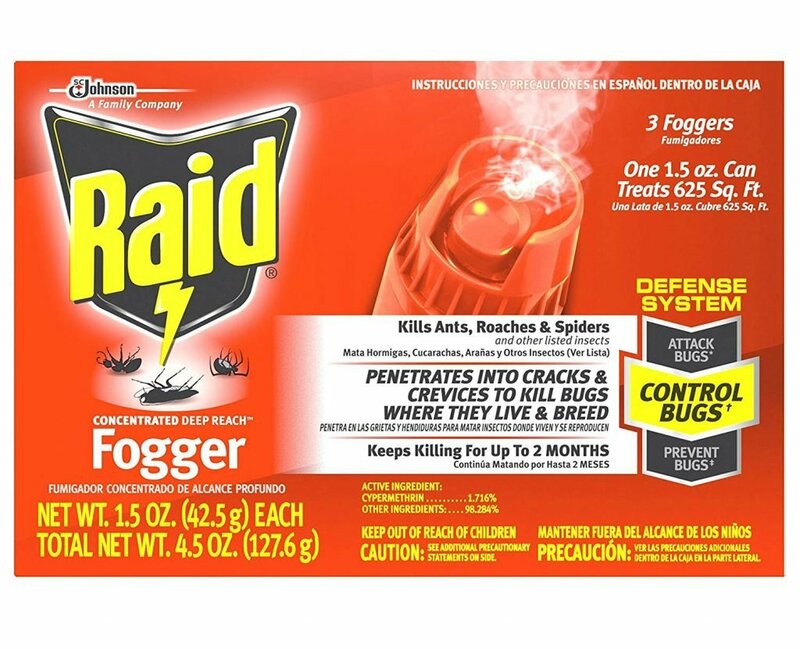 The Raid Concentrated Deep Reach Fogger can also be used as a bug bomb for car spiders or a bug bomb for spiders in the garage, but if the area in which you are using it is too small, remember to air it out sooner and more meticulously. The basic room premises each individual spider killer bomb is intended for are 25 x 25 x 8 feet. 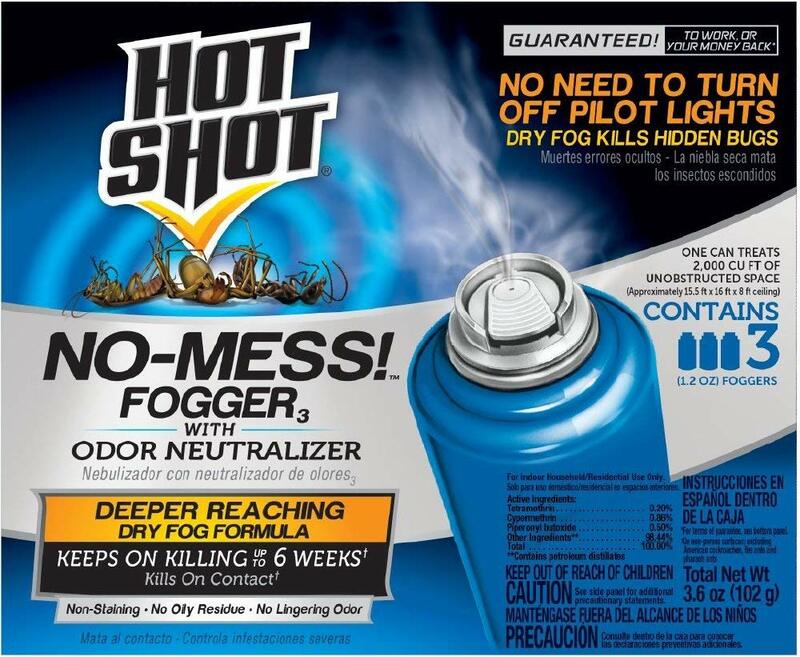 Another great bug bomb for spiders, here’s the Hotshot No-Mess! Spider Fogger. It is a highly versatile fogger and it claims to works on a wide range of insect pest such as spiders, earwigs, houseflies, black carpet beetles, brown dog ticks, carpenter ants, crickets, firebrats, pillbugs, gnats, waterbugs, mosquitoes, palmetto bugs, rice weevils, roaches, saw-toothed grain beetles, fleas, silverfish, small flying moths, and others. The way this Hot Shot Fogger manages to achieve such wide-range success is by creating a dry penetrating fog that remains airborne while also delivering a deep penetration into the treated area’s wall and floor cracks, crevices, and nooks. This makes the Hot Shot No-Mess! Spider Fogger great for all types of spaces too – houses, apartments, attics, basements, garages, barns, boat cabins, crawlspaces, campers, cabins, trailers, sheds, storage areas, cars, and other vehicles and spaces. Plus, of course, the Hot Shot No-Mess! bug bomb easily justifies its name as well – it leaves no wet residue or stains and it also contains an odor neutralizer to make sure that the fogger is as little of a nuisance for you and your family as possible. Each pack of the Hot Shot No-Mess! Spider Fogger contains 3 bug bombs. Each can provide a sufficient treatment for 2,000 cubic feet of enclosed and unobstructed space. If the area you want to fog is larger or is too obstructed by unmovable furniture, make sure to use more than one can. Alternatively, if the area you want to bug bomb is smaller (such as the cabin of a car), remember to air out the fog sooner and more extensively. The third choice in our Top 3 is another Hot Shot product. This Hot Shot Spider Bomb for House use is more specialized for crawling insects such as spiders, cockroaches, ants, fleas, and others. Just as the previous Hot Shot spider bomb, this too contains an odor neutralizer to minimize the inconvenience it causes to you and your family. It also leaves no wet stains and residue, however, its fog isn’t dry and you should turn off your furnace’s pilot light before fogging. As most good spider bombs and foggers, this Hot Shot product has a lasting effect of up to 2 months, depending on how it has been used. It’s great for all enclosed spaces such as house rooms, apartments, basements, attics, crawl spaces, barns, campers, cabins, sheds, garages, storage areas, trailers, and others. The pack comes with 4 bombs in it (1 bonus compared to most similar products), and each bomb is enough to cover approximately 2,000 cubic feet of enclosed and unobstructed space. The “unobstructed” part is crucial as it is with all other foggers – big obstructing furniture items drastically reduce the fogger’s effectiveness, so keep that in mind when deciding how many cans to use for how big of a room. When using this bug bomb for smaller spaces, remember to air them out sooner and more effectively than you otherwise would or to simply bomb them together with another room/area. There are much more than just 3 bug bombs and foggers suitable for spiders, of course – the market has hundreds of similar products to offer and quite a few of them are quite effective and promising. So, before we get to the guide part of this article, let’s also take a look at the next 3 best items that came just short from making it into the Top 3. All of them have their great qualities, but also one or two small shortcomings that prevented them from making the cut. The Spectracide Bug Stop Spider Bomb is quite effective against crawling insect pests thanks to its deep penetrating impact into cracks and crevices. It leaves no stains or residue, but one crucial factor that kept it away from the Top 3 is that it isn’t too good on carpeted floors. Therefore we’d mostly recommend it for concrete floors such as those of garages, basements, and so on. Black Flag makes our runner-ups list with their Black Flag Concentrated Bug Bomb for Spiders. 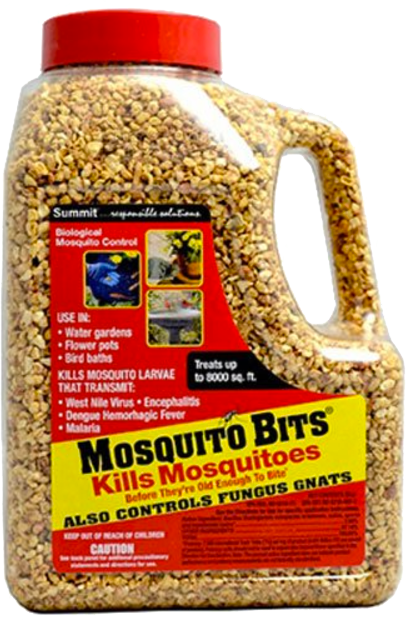 A wide range product, this bug bomb works on all kinds of crawling insect pests like spiders, ants, roaches (including the pesky German roaches), and many others. It has a lasting effect of up to 12 weeks when applied correctly, and the whole pack contains a total of 6 cans, which is great for larger homes and storage spaces. The trigger mechanism of this particular model is a bit wonky, which prevents it from going into our main list, but it’s still a very good product. This Durvet No-Bite Multi-Pest Indoor Fogger is the last item we’re about to showcase here. It combines 3 different insecticides, which makes it very effective at killing both adult insects, as well as their eggs and larvae, which is rare for insect foggers. It contains 6 foggers per pack and their formula is water-based and kills on contact. 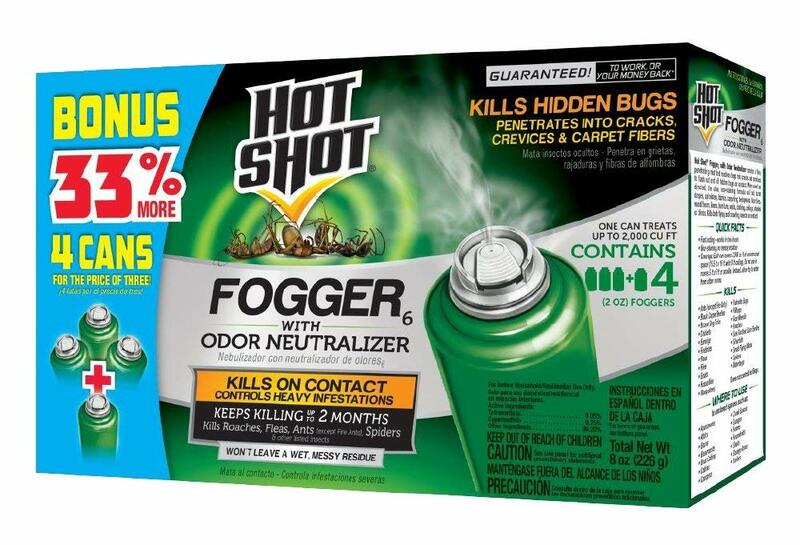 In terms of sheer power, there are other products that seem to have an edge, but bug bombing is more of a case-by-case type of thing so definitely consider this product if other foggers have disappointed you. As it’s probably clear by now, bug bombs and foggers are nasty products to use, especially in a residential area. They work by simply filling every space with a poisonous gas that goes into every surface, every fabric, every crack, and every crevice. That’s crucial since insects such as spiders tend to hide into quite inaccessible places and it’s often only the bug bomb’s gas that can reach them and harm them. The insecticides used in bug bombs vary a lot in their exact type and contents, depending on what you want to kill with them. They are all generally designed to work on insects and to not harm mammals directly, but prolonged exposure is still quite dangerous and harmful for humans and pets, so make sure to evacuate the premises before setting off the bug bombs. Also make sure the remove everything edible, as well as most of the food-handling tools such as dishes and utensils. Everything you leave home when you set the bombs off will need to be properly cleaned afterward, and the whole space will need to be properly aired out. Also, don’t forget to turn off the fire alarm and the pilot light in the furnace, as the bug bombs might set them off. Another drawback of bug bombs is that if the cracks and crevices in which your unwanted insect guests dwell are too deep, even the best bug bomb gas might not reach them. If that happens, not only are the bugs likely to survive but they also often spread even more around your home, setting up new nests and dwellings. Or to put it another way – bug bombs are a pain to use. Unfortunately, sometimes they are a necessary pain. Especially against massive spider infestations, bug bombs can be the only good way to manage them since spiders don’t care much about bait stations. Another thing to remember about bug bombs is that they usually kill adult insects only, and sometimes larvae as well. However, they rarely kill eggs, so you can expect a “second coming” of your insect pests a couple of weeks after using the bug bomb. Bug bomb manufacturers often fail to mention that which leaves people unpleasantly surprised. Most people to whom this happens think that they’ve simply been invaded again, but the reality is that the eggs of the previous insect generation have simple hatched. In those situations, it’s important to bomb the premises again as soon as possible, before the new insects have managed to lay their own eggs. Otherwise, you might find yourself in a never-ending cycle of constantly bombing your home every two weeks (most spiders’ and other insects’ eggs hatch after 10 – 14 days). If you don’t feel like bombing your home with poisonous gases – a perfectly understandable stance to take – the alternative methods to employ are bait stations which work on a lot of insects but are less effective on spiders, the hands-on approach of killing everything yourself with aerosol sprays, traps, vacuums, and so on or you can simply kill an exterminator. People often refrain from calling exterminators because they are quite expensive and use the same products that you yourself can buy. 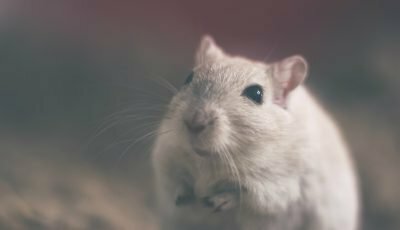 The thing to keep in mind about exterminators, however, is that they are more experience and are more likely to choose the best possible treatment tool, as well as to apply it correctly. Is this bug bomb of a good enough quality or is it a subpar product? Is this bug bomb meant for the type of bugs I’m dealing with? The latter question is usually quite easy to answer – most manufacturers of bug bombs and foggers tend to specify why insects their products are more effective against. As a general rule – “deep reach” foggers are better for insects that tend to dwell inside deep cracks and crevices, while non-deep reach foggers (usually said to “stay airborne for extra-long time”), are better against flying insects. Still, if you’re uncertain or you don’t want to trust the manufacturers’ words (which is understandable), simply ask around in professional forums for advice. As far as the quality of the product is concerned, you obviously can’t trust the manufacturers since they always claim that all their products are “the best”. That’s why, when choosing between products we’re usually left to rely on things such as professional industry articles and reviews, as well as consumer reviews. Neither of those are ideal since professional reviews are sometimes bias and consumer reviews are often subjective, inconclusive, ill-informed, and fail to take into consideration surrounding factors. Still, if you read enough reviews of both types you’ll eventually start getting a clearer and clearer picture of which products are worth buying and which – not so much. To further aid your decision, you can also take note of the products’ brands. Not all brands are created equal and the ones we’d advise you to keep in higher regard include Durvet, Hot Shot, Black Flag, Raid, and Spectracide. Bug bombs are generally considered to be one of the best ways to deal with large spider infestations. That’s because spiders don’t wander around and are less affected by bait stations (which are often the better solution to a lot of other types of insects). They are air-breathing arthropods, so the gas from bug foggers is supposed to affect them significantly. Additionally, spiders tend to hide in wall cracks and crevices, where “deep reach” bug bombs are meant to reach, which is another good point in favor of bug bombs. There are over 40,000 different species of spiders in the world, varying a lot in sizes, shapes, venom, and survivability. This effectively means that what works against some or most spiders can still be ineffective against others. Spiders, in general, are creatures with a very high survivability. After all, there’s a reason why they’ve been around for over 318 million years. What this means for us is that if a couple of bombings with a certain type of fogger aren’t effective, this doesn’t necessarily mean that the fogger is bad, but it can also mean that its insecticide is not meant for your particular species of spiders. Instead of continuing to bomb your home, try a different bug bomb or a different type of product altogether. Consider consulting with professionals online on the exact species of spiders you’re having and how to deal with them. If everything fails, don’t hesitate to call exterminators. Each bug bomb has a recommended square footage of enclosed and unobstructed space it should be set off in. If you want to bomb a bigger space, use a couple or more cans. Alternatively, if you want to bomb a space that’s smaller than 5 x 5 x 5 feet (such as your car), don’t set off a whole can inside, but instead bomb the surrounding space (such as your garage), and let the smoke enter your vehicle as well. Bombing a car directly can be done if the car is large, if the can is meant for a smaller footage area, and if you air it out extensively. Turn off the fire alarm and your furnace’s pilot light before setting the bug bombs off. Remove all the food and food-related dishes and utensils from your home before the bombing. Once the bombs have done their job, air out all treated areas for at least a couple of hours. Don’t let people or pets get back inside before the bombs’ effect is done and you’ve aired the whole space extensively. Use protective headgear when walking in the treated area (when setting the bombs off or while space is being aired out). Use a second set of bug bombs after 10 – 14 days to eliminate the bugs that have just spawned from the leftover eggs. Use preventive measures against further bug infestations once you’re done the bombing. From all this, it’s rather clear that bug bombs have their pros and cons, whether used against spiders or other insects. They are messy, time-consuming, and when applied incorrectly can cause more harm than good. However, when used properly they can quickly and decisively rid you of a bug problem might otherwise plague for a long while. Bug bombs don’t require prolonged usage of baits, traps, bait stations, and frequently reapplying poison in the corners of every room in your home. Instead, you just throw several bug bombs in the areas that need treatment and you rid yourself of the pest problems for good. Of course, to further make sure that the bugs won’t reappear you’ll have to make sure that you exterminate their eggs and larvae as well, which often requires a second “bombing”. Furthermore, to make sure that there won’t be any further infestations, it’s strongly recommended to start using preventive measures right after the bombing. Most bug bombs for spiders and other insects say that they have a “long-lasting effect of X weeks”, which is usually true but doesn’t guarantee that new insects won’t invade your home regardless of the bombs’ residual effects. That’s why taking preventive measures is so important – otherwise, you might have to keep “bombing” your home every month and that’s hardly pleasant. Still, if you know what you’re getting into and how best to use them, bug bombs can do a pretty good job. Hopefully, we’ve managed to cover the basics well enough but make sure to read around some more anyway – you’ll need all the “know-how” you can get before bombing your home. The Raid Concentrated Deep Reach Fogger is a great spider bomb for room and house treatments, as well as one of the best spider bomb products for vehicles and garages. The Raid for spiders is effective against all manners of crawling pests such as cockroaches, ants, and others, thanks to its deep-reaching potential that allows it to get into all nooks, cracks, and crevices. The product comes with 3 bombs per pack so if you’ll need to use it for more than just your home but also as a spider bomb for basement or a spider bomb for the garage, make sure that you get enough packs. The Hot Shot No-Mess! Spider Fogger is effective against much more than just spider as its special dry form achieves both a deep penetration in cracks and crevices, as well as a retained air presence against flying insects. It also leaves no stains and wet residue, as well as has an odor neutralizer for even more convenience. The dry formula also protects you against furnace accidents as it is not flammable like other bug bombs are. This effectively means that you won’t have to turn off the pilot light of your furnace (although we’d still recommend it). The Hot Shot Spider Bomb with Odor Control is the second Hot Shot product in our Top 3. It’s much more oriented toward crawling insects in particular, such as spiders, ants, roaches, fleas, and others. As a result, it’s less effective against flying pests. It has a lasting effect of up to 2 months when used properly, it comes with an extra can per pack (for a total of 4), with each can having an area of effect of 2,000 cubic feet of enclosed and unobstructed space. This Hot Shot product also has an odor neutralizer and too leaves no wet stains or residue. It is, however, not creating a dry fog, so don’t forget to turn off your furnace’s pilot light.